Mellophone Mouthpieces for the 85003 area. This is the "standard" for mellophone throughout the marching world. This piece has a very centered and open feel coupled with a wide spectrum of sound. The deep V-shape cup is matched with a 20 throat and a #4. backbore. 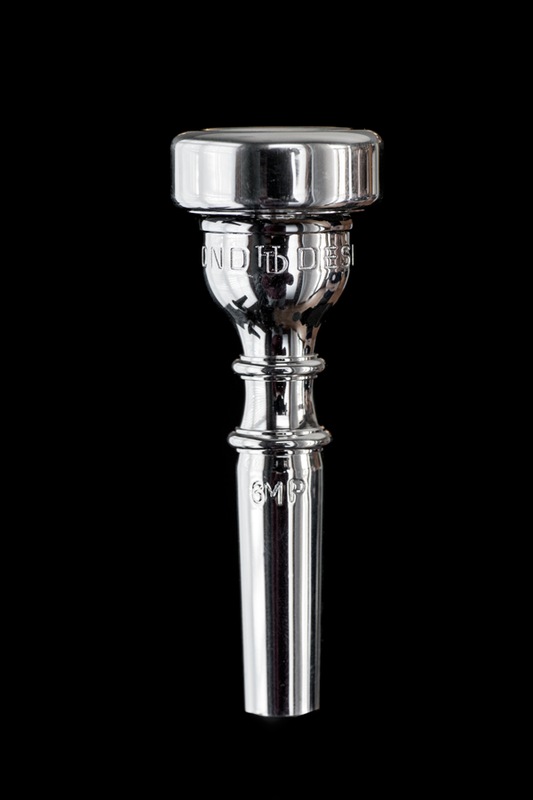 These custom mellophone mouthpieces are the heavyweight versions of the 6MP and 5MP and provide a slightly darker and more focused core sound. A deeper, more open version of the 6MP. The wider rim diameter coupled with the extra depth and a larger throat create a darker mellophone sound. Providing Mellophone Mouthpieces near 85003. "the experience of sound in HD"